Parade gloves in black and white. Drummers gloves with grip palms. Parade Gloves And Drummer Grip Gloves. 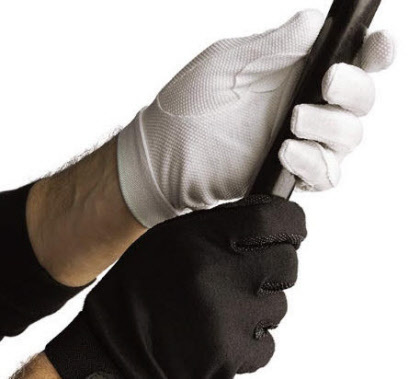 White cotton gloves with elasticated writs and drummer grip gloves. Really smart looking and great value for money. Grip gloves protect hands and gives great grip.